Is your company in the search of Legal Professionals? If your answer is yes, then this is the perfect destination for you. 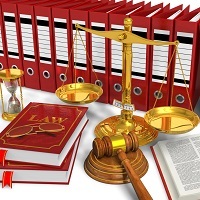 We are in contact with Legal Experts with specialization in varied fields. We maintain a database of professionally-qualified individuals, suitable for jobs in different fields of Law. The candidates, registered with us, possess relevant experience in their field. The company undertakes hiring for junior to senior level Law Jobs, completely in accordance with the clientâ��s requirements.